When it comes to truffles, only Oregon matters. Like the French truffles, Oregon’s native truffles are so prized by chefs and chocolatiers alike they can fetch up to $800 a pound. This month is the apex of the season, with both black and white truffles in abundance. 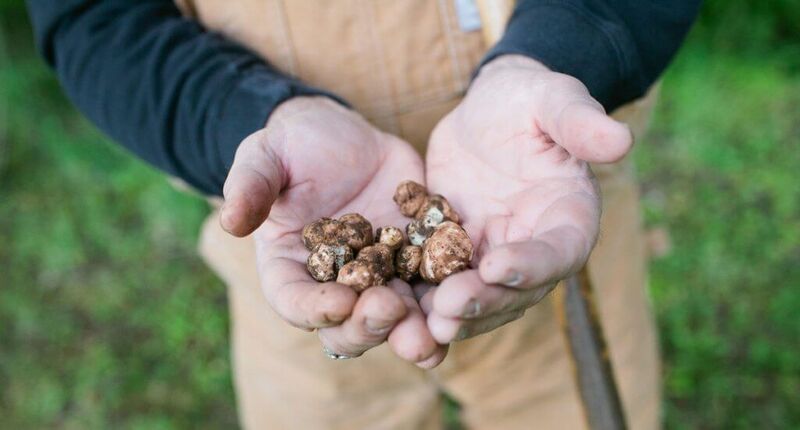 Oregon and the surrounding Pacific Northwest are the only places truffles grow in America—and account for up to one-third of the truffles we eat nationwide, even when you factor in French and Italian imports. While you aren’t likely to find them inside Portland, forests throughout the Willamette Valley and Columbia Gorge are thick with the valuable mushrooms growing on tree roots—anywhere Douglas firs are found.